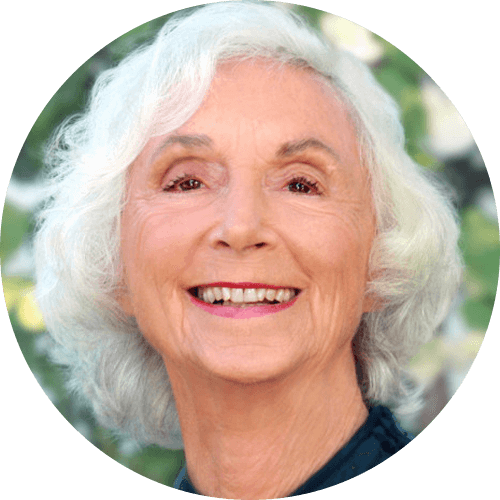 Barbara Marx Hubbard has been called "the voice for conscious evolution of our time" by Deepak Chopra and is the subject of Neale Donald Walsch's book "The Mother of Invention." A prolific author, visionary, social innovator, evolutionary thinker and educator, she is co-founder and president of the Foundation for Conscious Evolution. She is the producer and narrator of the award-winning documentary series entitled Humanity Ascending: A New Way through Together. As a global ambassador for the conscious evolution movement she partnered with The Shift Network and formed a team to co-produce the world-wide multi-media event entitled, "Birth 2012: Co-Creating a Planetary Shift in Time" on Dec. 22, 2012 – a historic turning-point event; awakening the social, spiritual, scientific, and technological potential of humanity. In 1984 her name was placed in nomination for the Vice Presidency of the United States on the Democratic ticket, calling for a "Peace Room" to scan for, map, connect and communicate what is working in America and the world. She also co-chaired a number of Soviet-American Citizen Summits, introducing a new concept called "SYNCON to foster synergistic convergence with opposing groups. Her books include: The Hunger of Eve: One Woman's Odyssey toward the Future; The Evolutionary Journey: Your Guide to a Positive Future; Revelation: Our Crisis is a Birth –An Evolutionary Interpretation of the New Testament; Conscious Evolution: Awakening the Power of our Social Potential; Emergence: The Shift from Ego to Essence; 52 Codes for Conscious Self Evolution and Birth 2012 and Beyond: Humanity's Great Shift to the Age of Conscious Evolution.